The Reckless album was a huge success for Bryan Adams, giving rise to six hit singles — but the first one, 'Run To You', was almost never even recorded. One of the most recognisable names among the studio elite of the past 25 years, Bob Clearmountain has certainly earned his stripes as a producer and engineer. Indeed, since the 1980s, 'Mixed by Bob Clearmountain' has been an industry catchphrase. Suffice it to say, it would almost be easier to list the major artists whose records he hasn't worked on, such is the veritable Who's Who of his track record. Influenced by his guitar-playing older brother, Clearmountain began playing bass as a teenager. However, it was his fascination with recording technology that led him to apply for a job at New York's Media Sound after a band that he played with had cut a demo there. The year was 1972, and although, with much persistence, he was initially hired as a delivery boy, after just a couple of deliveries he found himself assisting on a session for Duke Ellington. Not a bad start, and one that quickly led to several of the aforementioned engineering assignments, as well as productions during the second half of the decade for artists such as The Rezillos, Billy Cobham and Narada Michael Walden. Nevertheless, while bigger things ensued at the start of the Eighties courtesy of projects with the Stones, Roxy Music, Bowie and Huey Lewis, 1984 was arguably Bob Clearmountain's halcyon year. 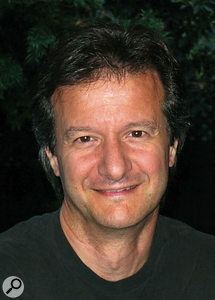 Not only did he produce and engineer Hall & Oates' Big Bam Boom and mix Bruce Springsteen's Born in the U.S.A, but he also co-produced and engineered Bryan Adams' smash-hit Reckless album, having previously fulfilled the same role on Adams' You Want It, You Got It (1981) and Cuts Like a Knife (1983). It was on the advice of A&M Records A&R exec David Kershenbaum that Adams initially hooked up with Clearmountain, and the latter duly helped the Vancouver native assemble a band in L.A. for the You Want It, You Got It sessions. Bryan Adams performing live around the the same period as Reckless.Photo: Fin Costello / Redferns"He had been rehearsing with some musicians there and I guess he was really disappointed with their performance," Clearmountain explains. "The Power Station had already been booked, and a couple of weeks before he said, 'Look, do you know any musicians? I've fired every one.' Well, I had worked with [drummer] Mickey Curry on a G.E. Smith album that I'd produced, and another guy named Brian Stanley who was the bass player, and then I also knew Tommy Mandel, a keyboard player who had worked with Ian Hunter, whom I'd previously engineered. So, I just called them all up, and that worked out really well for the You Want It, You Got It record. For the next album, Bryan brought in a different bass player, Dave Taylor from Vancouver, and these were the guys who also formed the rhythm section for the Reckless album." Reckless captured Bryan Adams at the top of his game, even if it would subsequently be eclipsed in terms of sales by 1991's Waking Up The Neighbors. Boasting an idiosyncratic mid-Eighties sound and spirit, it spawned no less than six American Top 30 singles, and the first of these was 'Run To You', that paean to illicit love co-written by Adams and Jim Vallance, and largely built around a chorus that melds melodic hard rock with the singer's trademark raw-throated vocals. Still, while one of the track's distinguishing features is the obligatory heavy drum sound, this was crafted by Clearmountain in unconventional fashion amid fairly adverse conditions. While most of the Reckless overdubs would take place at New York's Power Station, where the album was also mixed, the basic tracks were recorded at Little Mountain in Vancouver, owned by Bruce Fairbairn and Bob Rock, where the setup included a Neve 8048 console, a Studer A80 and, according to Clearmountain, little else. Indeed, one of his fondest memories there is of assistant engineer Michael Fraser sitting cross-legged on the producer's desk in front of the patchbay and re-patching whenever there was a need for playback. "That thing had an antiquated design, so it was a lot of work," Clearmountain recalls. 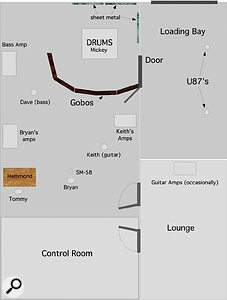 The recording layout at Little Mountain. "I'd look at Mike like, 'I don't know what the hell you're doing,' but as long as I could hear what I wanted to hear, whatever he did was fine by me. He was amazing, and I'm not surprised that he went on to become a brilliant engineer. That studio was basically just a console and a tape recorder, which was also a problem because, while the A80s were great-sounding machines, their motors were kind of under-powered for two-inch tape. I remember one song, maybe 'Summer of '69', where we had a bunch of edits — it came right at the end of the reel, and as it would hit the edits the tape would start to slow down a little bit. "Although it was really well-known, Little Mountain was almost like a low-budget studio, with virtually no outboard gear, a smallish control room and these horrible speakers that were pretty much unusable. I can't remember what they were — I just listened to them one time and turned them off. The main room, meanwhile, was enormous — they recorded orchestras in there — but it was very dead. It was also used for jingles, and the walls were all thick with insulation and padding. If you had your eyes closed, you'd swear you were in a bedroom or a closet, but then you'd open your eyes and see this enormous high-ceilinged room. "On the first day I thought, 'Man, how are we going to get a rock drum sound in here?' But then I walked around and found a door off to the side of the studio that led into a loading bay; a big concrete garage into which you could back a truck. They just used it for storage, they never really opened the garage door, but it had this incredible sound. I went in there and clapped my hands and said, 'Wow, can't we record the drums in here?' As it turned out, we decided it would be kind of awkward to have Mickey the drummer in a whole different room, so I set up the kit right in front of the door, got these gobos on which one side was a real hard wood surface, and made a big funnel-shaped device that focussed the sound through the door into the loading bay. I put a couple of room mics in there, and that's how we got our big rock drum sound. 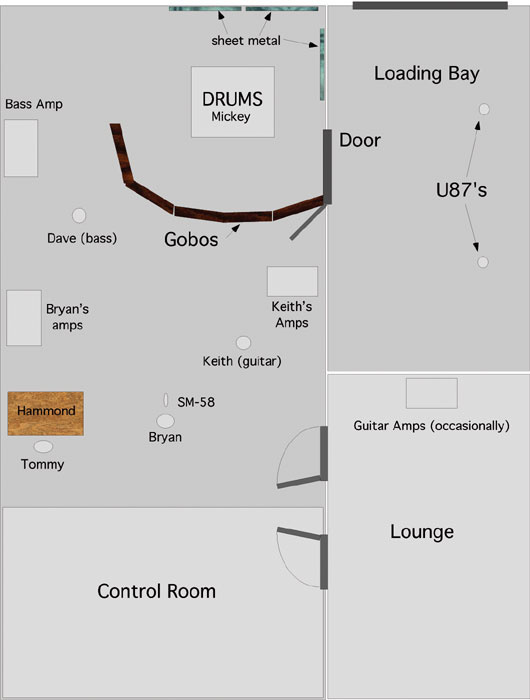 "The funny thing is, someone apparently measured exactly how we'd set the drums up, and when Aerosmith's records and other rock records were done at Little Mountain they'd set everything up exactly the same way. So, if you listen to some of those Aerosmith records, the drums sound almost identical to the ones on the Cuts Like a Knife and Reckless albums." To the best of Clearmountain's recollection, for the latter album Mickey Curry's kit was miked with an AKG D12 on the bass drum, Sennheiser 421s on the top and bottom of each tom-tom, AKG 451s on the hi-hat and cymbals, and a Shure SM57 on top of the snare with an AKG 451 on the rim in order to capture a little more attack. Room mics were Neumann U87s. It was, in essence, a straightforward setup that achieved an amazing sound, not least considering the environment in which the recording took place. 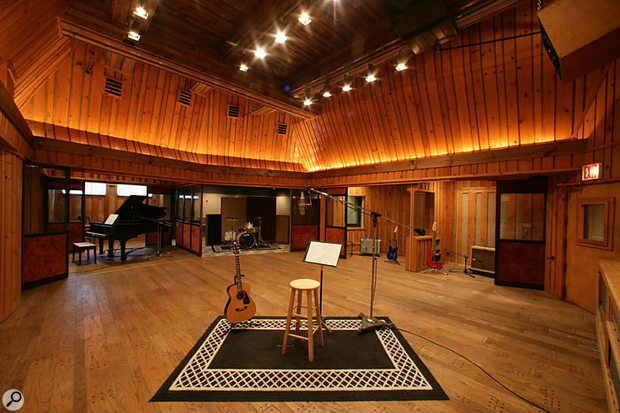 "Having such a dead-sounding room was quite an obstacle," Clearmountain remarks. "Then I found these big 4' x 8' pieces of sheet metal out in the loading bay. I don't know what they were there for, but we put them up on the walls around where the drums were set up just to try to get some ambience. The drums were set up at a sort of right-angle to the door, and with the gobos in front of the kit the sound was bounced at a 45-degree angle into the loading bay. It was interesting, to say the least, and was further proof that you can pretty much achieve anything anywhere. I mean, I record drums now in my tiny little lounge, which is certainly not a studio, and that works really well, so you can work just about anyplace." As with all the Bryan Adams albums that Bob Clearmountain worked on, the MO was to rehearse for a couple of weeks before the start of recording. The material was all written beforehand and demo'd at the home of Jim Vallance, and while these demos often served as blueprints for what ended up on the finished record, Clearmountain used the rehearsal period to offer his own suggestions in terms of the musical arrangements. "When I first heard 'Run to You' I thought it was pretty good," he recalls, "but Bryan was thinking about leaving it off the album. He was writing songs for other bands at the time, and there was some other band that he was going to give that to. I remember riding around town in his car when I first arrived and he was playing me the demos, and when we got to 'Run to You' he said, 'I'm not sure what I'm going to do with this one,' and I said, 'You're gonna put it on this album! It's a great song.'" In truth, it was a song of simple and somewhat incomplete structure, looping around a hook without ever developing in the manner that might have been achieved by way of greater application during the compositional process. "That could have been the cause of Bryan's uncertainty," Clearmountain agrees. "I don't think he considered it to be up to the standard of his other material. But it had such a great guitar hook, which was there right from the start, and everything was kind of based around that hook. Sure, it was real simple, with a nice and simple melody, but it just sounded like a hit song to me, as did a couple of others. It was 'Summer of '69' that I wasn't too sure about." 'Run to You' was very straightforward, comprising about a half-dozen takes out of which the best two or three were then chosen to edit between. "Bryan was a good guitarist and he kept getting better as we went along, doing a couple of really good solos on the  Into the Fire album," Clearmountain says. "He really worked on his guitar playing over the years and I now think he's a great guitarist — he was both meticulous in his approach and capable of letting it rip. He would let it rip and then we'd go back and fix bits. Both of us were pretty meticulous, and that's one of the reasons why we got along so well." Alongside the drums, the other musicians played together as a live rhythm section, scattered around the room. "The guitar amps would always be way off to the side, because unfortunately that studio apparently had power mains that ran right down the middle of the floor," Clearmountain recalls. "So, if you got a guitar amp anywhere near there, it would just hum like crazy... It really wasn't a terrific studio. But the room was big and a lot of people liked it. And it was also one of the only games in town at that time. "[Guitarist] Keith Scott had a Marshall amp, recorded with an SM57 in front, but I'd also sometimes use a couple of mics, place a gobo nearby and face one of the mics away from the amp, towards the back of the gobo, to get this reflected sound. Then I'd mix that with the main mic, maybe put it out of phase, just trying to get a bit more. Sometimes we'd also combine amps — a Marshall with a Fender Twin, or something like that — just to get different sounds. "In terms of the keyboards there was always a Hammond B3, so I'd usually have four mics on the Leslie — two 87s on the top and two on the bottom, recorded in stereo. Tommy [Mandel] also had this cheap little Casio keyboard which sounded really good. You can hear it on 'Run to You' — these little tinkling sounds, especially coming out of the solo section. The Casio was DI'd, and so was Dave Taylor's bass, which also used an amp — I think it was an Ampeg SVT. "I would always put the bass player as close to the drums as I could get him, so they were as tight as possible, and Bryan would be standing somewhat in the middle of the room because he'd also be singing a rough vocal into an SM58 and directing the band. Keith Scott was off to the right and facing the control room, standing in front of the drums that were at the back and to the right." An average of two backing tracks per day was the norm during the recording sessions — all of the pre-production evidently paid off — yet the Little Mountain session ended up lasting about three weeks due to some overdubbing of guitars, as well as the non-Pro Tools editing of each number. The decision to relocate to Power Station was borne largely out of Clearmountain's desire to return to his home base. "It was nice to be in New York, it was nice to get out of Vancouver for a bit," he says. "Then again, we couldn't really mix at Little Mountain. They didn't really have the facilities for mixing, and Power Station was great. I'd mixed tons of records there, so I was very comfortable, and Bryan also liked being in New York. 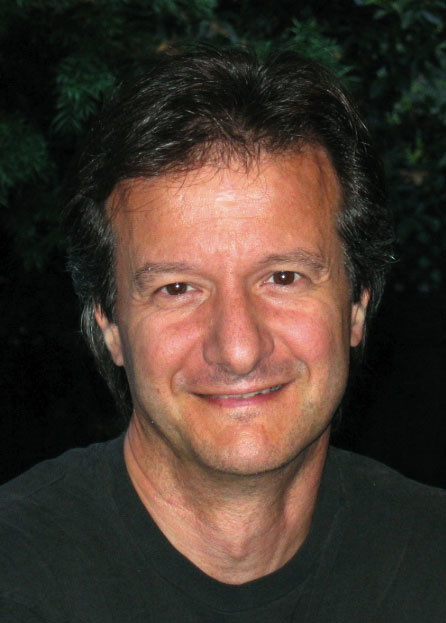 Plus the fact that the keyboard player Tommy [Mandel] was from New York." 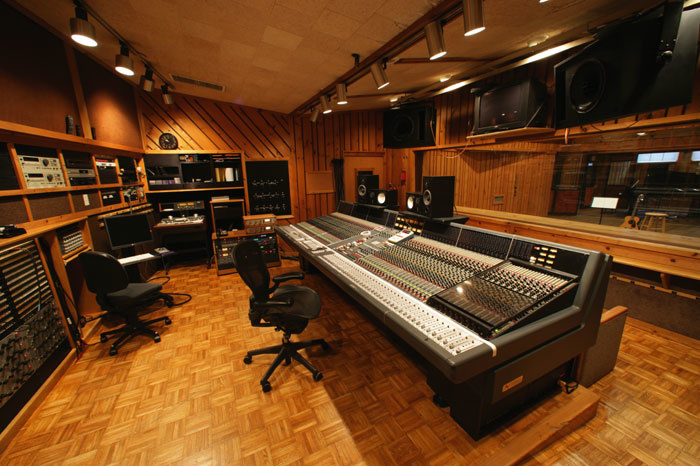 Before the mix took place on the SSL E-Series console in Power Station's Studio C, the facility's Neve 8068 came into use for more overdubs, as it had for all of the recordings on the preceding You Want It, You Got It album. Among the assignments this time around was to capture the lead vocals, with a number of different microphones being used. 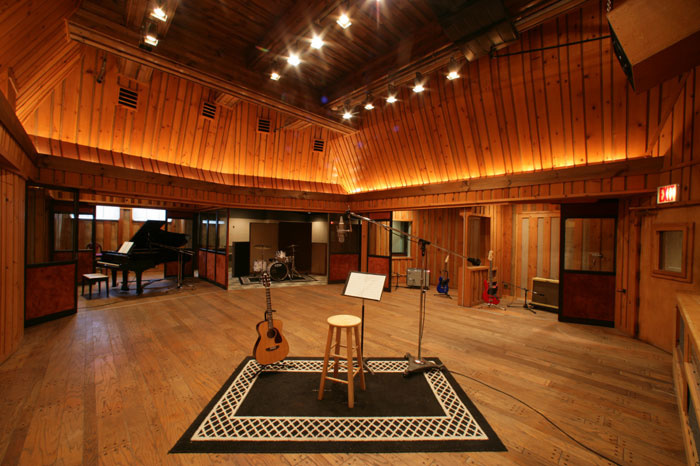 "We would choose the mic for the song," Clearmountain says. "We actually used a Shure SM58 for a couple of the tracks because we wanted a real edgy sound, and then for other songs that we didn't want to be as edgy we used a U87 or an FET 47. That studio didn't have good vintage mics, and neither Bryan or I could afford expensive mics back then, whereas now I've got a few good microphones and he's got an amazing mic collection. So, back then we just used what was in the studio, and I remember at one point lining up one of every mic there and just getting him to try a verse and a chorus with each of them, before picking the one that we liked best. Usually it was a U87. "Bryan was pretty confident about his vocal abilities and also very objective. He's got an amazing ear. We'd be doing vocals and he'd go, 'Oh, I sang out of tune. Let's do that again'. You see, we wouldn't do comps in those days, because it was all 24-track. We'd have two tracks and keep punching-in on one track, and he was really good at that. He could punch word after word and it would sound like a performance. He was pretty amazing at that. He would perform a line and go, 'Okay, yeah, that was good,' and I would say, 'Well, let's try it again.' He'd go, 'No, no, no, that was good,' and I would persist: 'Let's try one more on the other track.' So, we'd give it a shot and then compare the two, and if it was better then I'd just bounce it over. That was the extent of our comps." Adams' aforementioned ability to punch-in is all the more remarkable in light of the sustained high energy and rounded performance of a vocal such as that on 'Run To You'. "He was unbelievable at that," Clearmountain confirms. "And he would never get worn out, because he'd only do a couple of lines at a time. Each line was like a burst of energy, so it wasn't a case of being a little bit tired by the time he'd get to the third verse. He'd just concentrate on each line, and he would use that technique to really get something amazing. In fact, he would often start off by doing a couple of complete passes to get a take that he felt really good about, and then we'd go back and listen to it and say, 'Oh, we can do that line better.' We'd go line by line, and he would always say, 'Yeah, I can do that better,' so we'd usually end up redoing the whole thing. It was a case of having a blueprint to work with and then just outdoing it. "Bryan always had a tendency to sing on top of the beat because he was so energetic, and then I'd actually have to pull him back, saying, 'Okay, you're too far ahead of the beat. Keep the energy and pull it back.' He would pull back so that he was still pushing it, and that's part of where the energy came from. In fact, that's why I was disappointed when he started to work with 'Mutt' Lange — Mutt would actually sample each line of his vocal and lay it back in so that it was exactly on the beat. Mutt had a mechanical approach where he wanted it to be perfectly in time, and to me that kind of overlooked Bryan's energy, where he was pushing the band, leading the band. I always thought that was an exciting thing about his voice, and the later albums don't really have that. Of course, most listeners aren't aware of it, but there's an immediacy to the way that he pushes everything." Bob Clearmountain today.Photo: Fin Costello / RedfernsLikewise, Clearmountain asserts that the energy of the thundering chorus on 'Run to You' was more down to the recording than to the mix. "Most of it was the performance," he remarks. "We'd always push for really exciting performances. Like on Into the Fire, there's a song called 'Victim of Love' which has this long outro, and we had Mickey Curry just go out and fill up a whole tape with drum fills. He would play the end of the song and every four bars he'd do a different drum fill, and then we'd go through it, pick the ones that we really liked and place them in the outro. We did the same on Reckless, where a lot of the songs were kind of pieced together even though they sounded totally live. It was all about getting the most exciting bits, and once in a while we'd also get a great take. That was pretty rare, but occasionally we would actually have a full take. "To be honest, it was a great band. Mickey Curry is an unbelievable drummer, besides being hysterically funny, and so we'd always have a great time cutting tracks. Everybody would be cracking jokes in between cuts and sometimes they would just start jamming on something. There was usually a Linn drum machine in the control room, which we'd use to provide a click track, and so Keith would do these little rap things, I'd start playing handclaps on the Linn, and we'd just crack ourselves up with these silly, stupid things and then go do a take. Everybody would be pumped up, having a great time, and it was all about getting this vibe in the studio. I think that comes through on all those records, where it just sounds like there's this energy going on. Well, that was there. It was in the original recordings. "We didn't have the boxes back then to create different room sounds, so we did it the hard way, and that was always the fun of recording for me. No matter what record I was producing, I would always insist on having everyone in the band play together, even if ultimately we weren't going to keep the tracks. It was about having everybody's vibe in there and the drummer hearing as much as possible coming through his headphones. That energy was so important, whereas a lot of the records nowadays are all done bit by bit and they don't have that thing that those Eighties records had; the excitement of a band playing together. "Sonically, I didn't leave much to the mix. Especially recording on analogue, which is so different to digital. Nowadays you can record pretty much flat with digital and then do everything in the mix, but you couldn't do that with analogue because you'd just get a load of noise. You'd go to EQ and be bringing up tape hiss, and the more you'd play the tape the duller it would get. So, I would always put extra top-end when I EQ'd, trying to make something sound as if I was mixing it when I was recording it. You know, I'd really crank the treble, because the nature of analogue was that as soon as you played it back it would be missing something. That's why I was so glad when digital started to sound good!" As for the mix of 'Run to You', Bob Clearmountain has never been completely happy with the effects that were applied to Bryan Adams' vocal... Too much delay for his liking. "That's one song I've always wished I could have remixed," he admits. "Looking back now, I don't know why there was so much delay on the voice. It obviously seemed like it sounded good at the time, but when I listened to it later I thought, 'Jeez, I wish I hadn't put so much delay on the voice and I wish I hadn't put so much bass in the mix.' I thought there was too much bottom-end, and it never sounded right to me, but then other people seem to think it was fine. "The song starts without any bass, just the guitar lick and a little cross-stick on the snare drum, and it sounds so great. But then the bass kicks in and hits radio compressors and the whole thing gets kinda quiet, and it always bugs me when that happens. At home it sound fine and in the car it sounds fine, but on the radio it's another matter. Still, that didn't keep it from being a hit, and nobody else has ever commented on the problem, only me. So, who knows?"